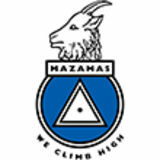 Mazamas is one of the oldest mountaineering organizations in the country, formed on the summit of Mt. Hood in the late 1800's. All members must have climbed a glaciated peak at some point in their life in order to join.